The 31-year-old from France returned to the Mubadala World Tennis Championship for the fifth time. Jo-Wilfried Tsonga finished fifth at the Mubadala World Tennis Championship, as he rallied back from a set down to overcome Tomas Berdych from the Czech Republic 6-7, 6-3, 10-3 on Friday afternoon at the Zayed Sports City in Abu Dhabi. The World No. 12 from France, who has come to the desert for the fifth time, was happy with his performance. “It is always nice to play good matches against the top guys. It was not easy but pretty good for the first matches,” Tsonga told afterwards. He lost to David Goffin on Thursday. Tsonga began the year 2016 at the Auckland Open in New Zealand. As second seed, he was exempt from the first round. He reached the semi-finals, where he lost in three sets to Roberto Bautista-Agut missing a match point. In the 2016 Argentina Open in February, Tsonga was the third favourite. He was beaten in the quarterfinals in straight sets by Spaniard Nicolas Almagro. Following the tournament in Buenos Aires, he played in Rio, where he fell in the opening round against World No. 338 Thiago Monteiro. Tsonga, along Gael Monfils, Gilles Simon and Richard Gasquet, respresented France in the 2016 Davis Cup first round tie, where France beat Canada 5-0. Tsonga played both singles, beating Frank Dancevic and doubles alongside Gasquet, winning in straight sets. Seeded seventh in the 2016 Indian Wells Masters 1000 tournament, Tsonga received a first round bye and opened his campaign in California with a win over countryman Vincent Millot. Tsonga then reached the second quarterfinal at the tournament, where he was beaten by World No. 1 Novak Djokovic. At the Monte Carlo Rolex Masters, Tsonga made it to the semis, where he lost to Gael Monfils after he had taken out Roger Federer in the stage of the final eight. Tsonga was forced to withdraw from a number of tournaments in 2016 due to a knee injury. He did take part in the Wimbledon Championships, where he was beaten by Andy Murray in the quarterfinals. In October, he appeared in his first final on the ATP World Tour in over a year, losing out in Vienna to Murray once more. 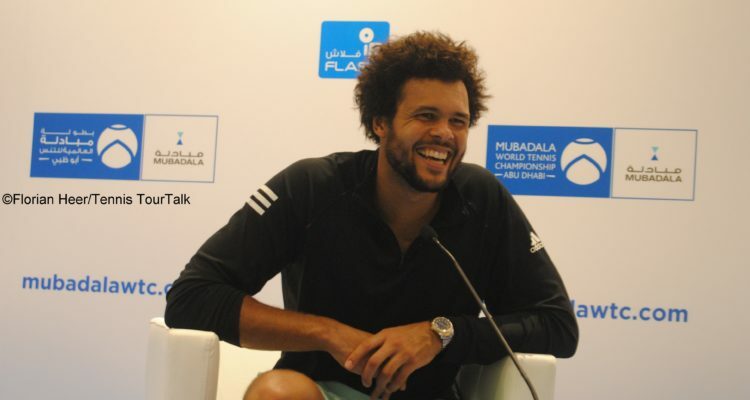 Tsonga already has a clear idea, how he will close the year. “I will attend the Coldplay concert here in Abu Dhabi. 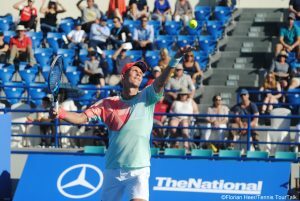 Four years ago, I was there as well and it has been a good memory.” 31-year-old Frenchman will officially start 2017 season on the ATP World Tour with the ATP 250 event of the Qatar Exxon Mobil Open in Doha. 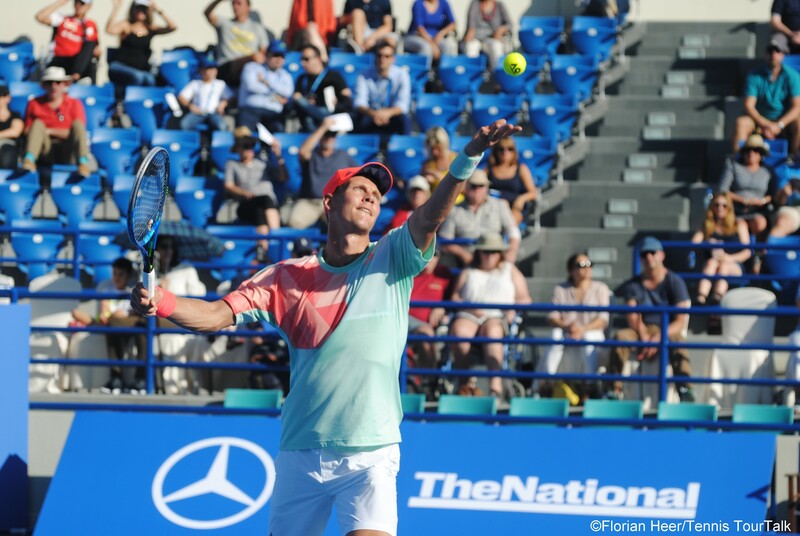 This entry was posted in Mubadala World Tennis Championships Abu Dhabi and tagged Jo-Wilfried Tsonga, Mubadala World Tennis Championship, MWTC, Tomas Berdych.